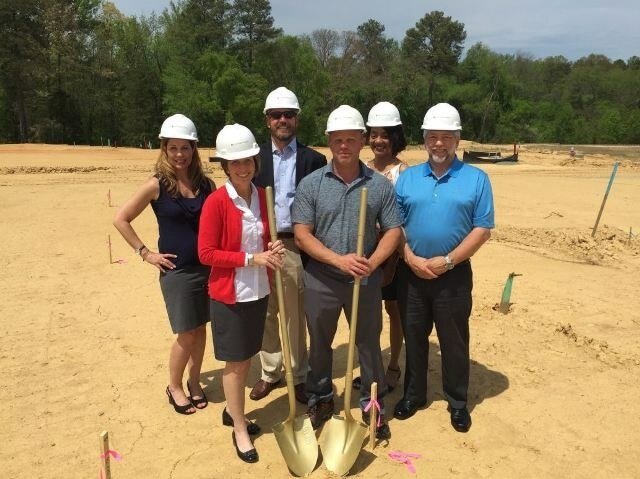 Stanley Martin Homes broke ground on Saunders Station in April of 2016 and has sold 14 homes since model opening in February opportunities remaining for purchase in the Greater Richmond, Virginia Area. Saunders Station is located in the Short Pump area of Richmond, Virginia just off West Broad Street within walking distance to West Broad Marketplace. Saunders Station features newly constructed homes with unmatched convenience to dining, shopping, recreation, schools and more. These gorgeous two-level condos offer an unbeatable value and are just a short walk to the new Wegmans at West Broad Marketplace. This fantastic location offers quick access to major traffic arteries and commuting routes, as well as unrivaled local shopping. Saunders Station offers homeowners access to the acclaimed Deep Run High School Pyramid, which includes Kaechele Elementary, Short Pump Middle, and Deep Run High. "We have seen a lot of interest since our opening in February and are thrilled that we are able to start work on the first homes at Saunders Station – it will be great to show everyone what an exciting opportunity we have to offer here." Gary Collins, Director of Sales, Stanley Martin Homes – Richmond. Headquartered in Reston, Virginia, Stanley Martin Homes is one of the largest privately owned homebuilders in the Mid-Atlantic Region - more than 15,000 families live in Stanley Martin homes and communities throughout Northern Virginia, Maryland, Charlottesville, Richmond, Raleigh, NC. Founded in 1966, Stanley Martin is a member of the Builder 100 and is most recognized for its architectural excellence, outstanding quality, energy efficiency and commitment to its customers. Condominium homes are available for sale now, at 12400 West Broad Street, Richmond, VA 23233. Contact Jessie Hearns at 804-977-0183 FREE for more information.